Product prices and availability are accurate as of 2019-03-23 04:50:40 EDT and are subject to change. Any price and availability information displayed on http://www.amazon.com/ at the time of purchase will apply to the purchase of this product. Since 1923, London Fog has maintained a heritage of unparallelled dedication to the quality of workmanship and timeless style that is evident in everything we make. 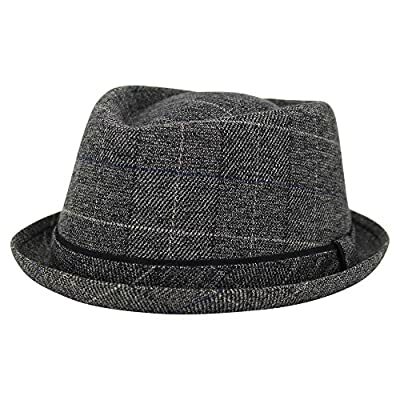 This men's short brim fedora hat is no exception. Comes in two different sizes to better match the individuals fit. Dry clean only. Stylish look and high end quality Hat. Short brim fedora for that vintage look Cross grain band 80% Cotton 20% Polyester Dry clean only.